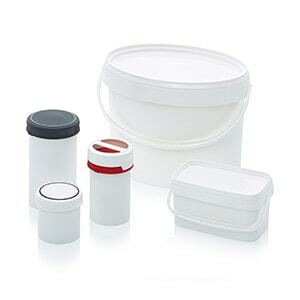 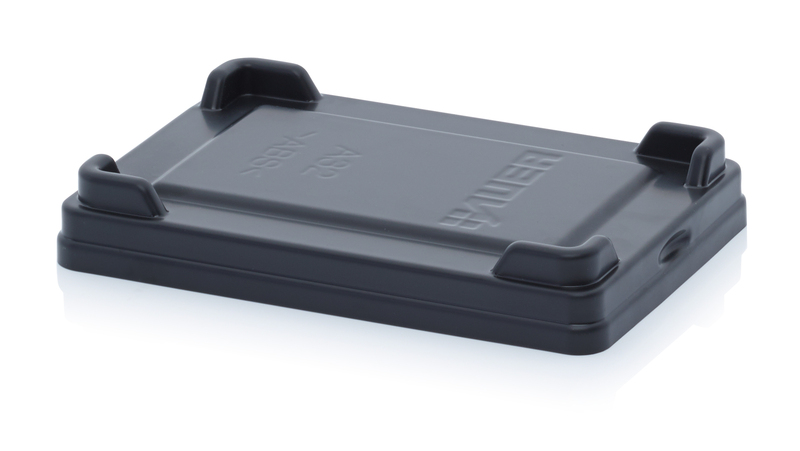 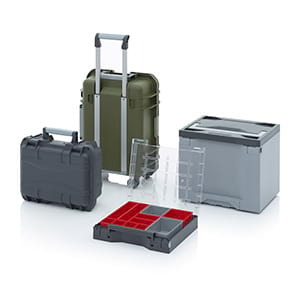 A clip-on lid enables you to protect the contents of a container quickly and securely. 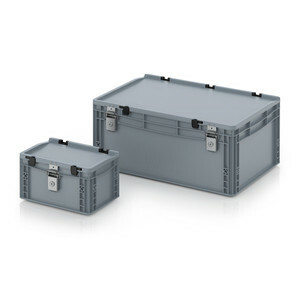 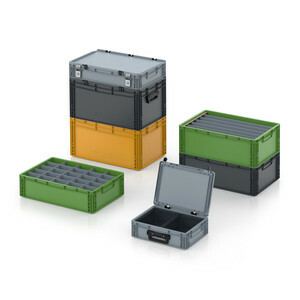 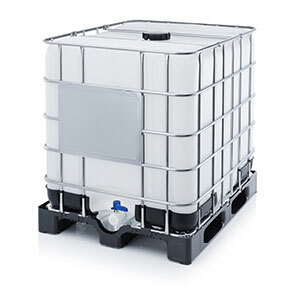 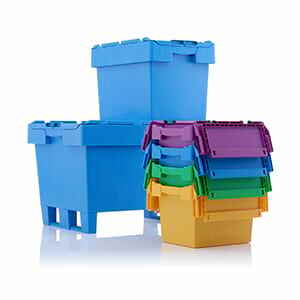 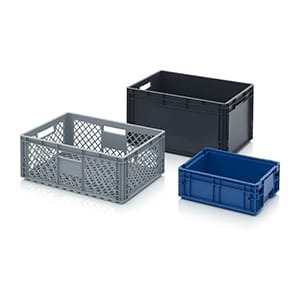 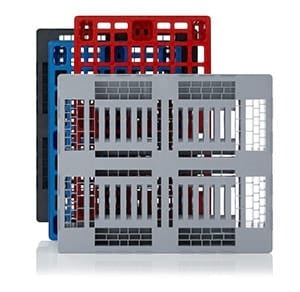 The Euro containers remain fully stackable with the lid fitted, as the force is applied directly to the rim of the container through the bars around its edge. 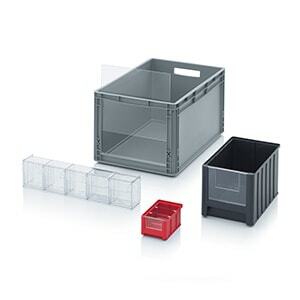 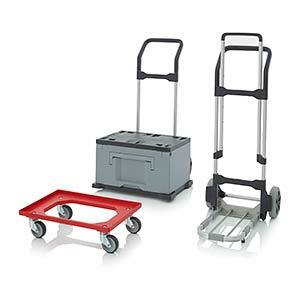 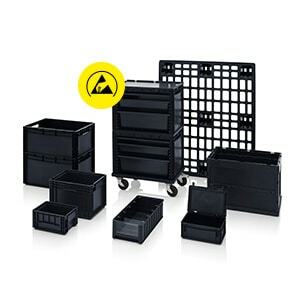 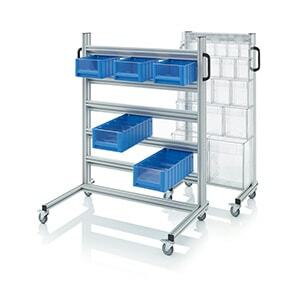 Handy for stacking: the shape of the bars causes the container on top to move into a central position by itself. 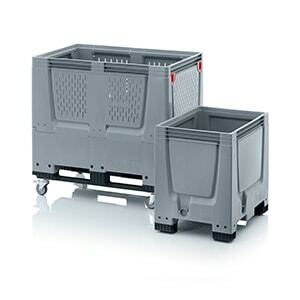 The recesses on each side enable the lids to be tied down using packing straps.